Often times people wait until fall to replace and update the flooring in their home. There is no reason you have to have the exact same style you moved into your house with. It may cheaper or more feasible to give a new flooring style a try. We have six of the industry’s hottest trends to share with you! The hottest trend for this coming winter is installing reclaimed wood flooring. Small spaces, like an office or private bathroom, are ideal for your first reclaimed wood flooring project. If you are satisfied with the character it adds, you can always expand to a more visible room. Although factory-finished hardwood can be produced to resemble reclaimed wood, they can’t promise you the same costs. Interior designers have found that the illusion of a large space in confined areas can be increased by using large tiles. They recommend going rather big with three feet by three feet tiles. Due to the size and weight of these tiles you will want to hire a professional for installation. Installing a bamboo floor into any room of your living space automatically creates character. When dried, bamboo can be harder than hardwood, making it the most durable flooring you can purchase. Bamboo planks are available in various widths and color options. 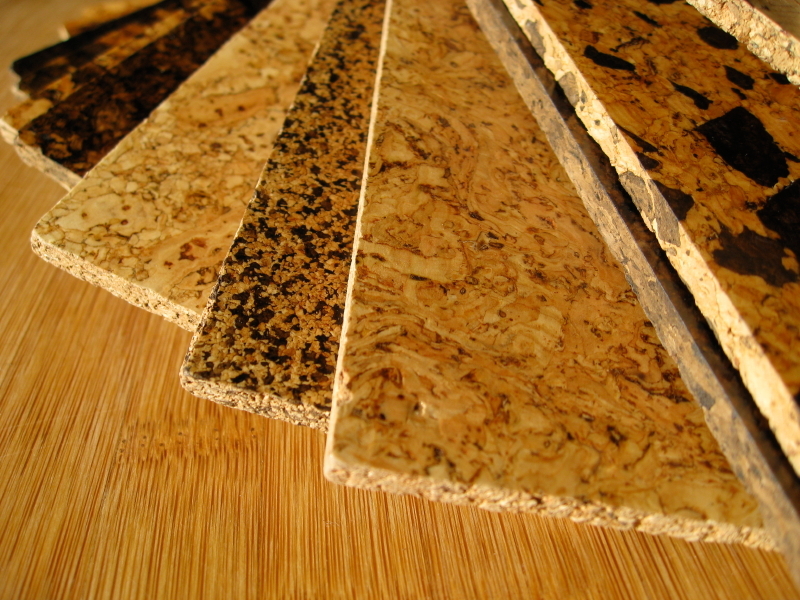 An easy way to go green with your floor is by installing cork. It’s comfortable to walk on and comes in a multitude of colors with factory finishes making it more durable. Take into consideration where you choose to install cork because it is still susceptible to moisture damage and may fade in sunlight. Placing “luxury” and “vinyl” in the same sentence may seem like an oxymoron, but that’s no longer the case! Manufacturers have provided consumers with durable flooring that has the realistic, high-end look of hardwood. You can now have moisture resistant flooring in your kitchen and bathroom that has that natural wood appearance. The most durable and resistant flooring you can get is concrete. You are no longer limited to gray; you now have options in color, textures, and finish. Concrete flooring is a style option that looks great in modern, minimalist homes and fits seamlessly in old houses as well. When considering to update or upgrade your flooring, consider style versus functionality. You may want the comfort of cork in your kitchen, but concrete may be more feasible option because it’s easier to clean and water resistant. There is no rule that says you can’t have a couple different styles in your home, just consider what you want to achieve in your living space. Please call Flooring HQ today with any questions on flooring options that will work best for you!